Will Justice Win Out Over Evil? Will Courage Overcome Corruption? 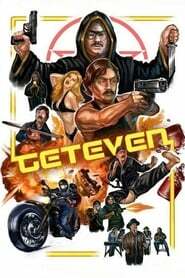 The Corruption of The System is given a swift lopsided kick by Vigilante Justice as a Disgraced Former Cop emerges from exile, automatic weapons blazing and mediocre martial arts akimbo, to bring down a murderous satanic cult headed by his former partner. His only allies? A boatload of swagger and one leggy blonde.